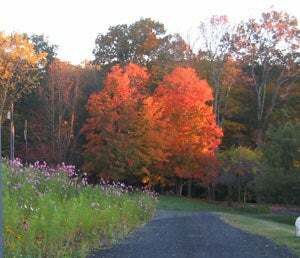 Wildflowers in all their Fall Glory. 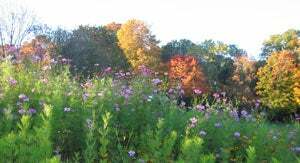 By September and October, the Maddelena’s wildflower meadow was spectacular with wild cosmos and plains coreopsis in the foreground. These are the flowers that provided so many big beautiful arrangements. Earlier the same summer. Here is a section of the meadow in late summer, showing the cosmos growing up along with plains coreopsis, black-eyed susans, and others. Wildflower welcome at the driveway. Another view of the fall meadow, showing how they enhanced the property entrance. In spring, 2006, we did a major renovation of our home, which is on 4 acres. We were left with a large area of dirt after the builders had graded the property. It was a mess and totally barren. I decided to try a quick fix since there was no budget for landscaping after the build out! I planted about 4 bags of your NorthEast Annual Mix in April and waited. It looked like a moonscape until June when things started to percolate. It was so much fun to wake up every morning to see what was new and exciting. The birds were attracted in a big way too! We had people slowing down in their cars to take a look all summer long and I had a constant supply of cuttings for my flower vases. It was probably the biggest bang for my gardening buck that I ever had. At American Meadows, we really thank the Maddelena Family in CT for sharing their story and photos. 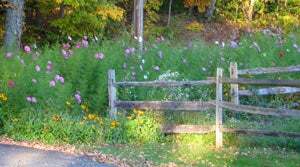 Whether it’s a new septic system, renovations, or a whole new home, when your property undergoes disruption, it’s a great time to install a wildflower meadow. 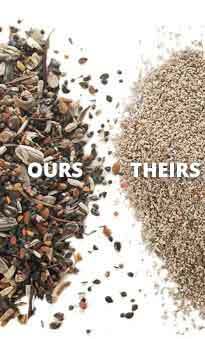 The old growth is already removed, so with just minor preparation, you’re ready for seeding.